If you have decided to build a detached garage in your backyard, beside your home or on another piece of property, it is necessary to understand, this is not a simple project. 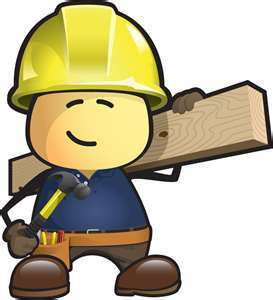 Unless you have all the specific skills required for the building project, you will probably need to hire an experienced builder, contractor or a variety of professionals skilled in the various building trades. Below is a list of the skilled professionals you may need to hire to build your new detached garage. Depending on how much of the interior finishing and decorating you plan to do yourself (if necessary), you may need to hire other professionals to finish the interior including any finished spaces such as an office, bathroom or loft. 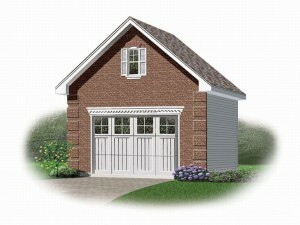 For more information about garage plans or building a garage, please visit The Garage Plan Shop. If you are planning to build a detached garage, it is important to realize it is not a simple project. It is necessary to have an understanding of the overall project and the main points of the construction process. This list will help you familiarize yourself with the main steps of the building process. 1. Clear and excavate the lot removing trees, shrubbery, grass and top soil. 2. Prepare the excavated site for the foundation by digging a hole to pour the foundation. 3. Build the form for the footings and concrete. 4. Pour the concrete footings and floor. 6. Construct the roof and finish with shingles or preferred roofing material. 7. Install garage door(s), service doors(s) and windows. 8. Add exterior finish such as siding. 9. Install ventilation, electricity and plumbing. 10. Install vapor barrier and insulation. 12. Prime and paint interior if desired. 14. Add organizational features such as shelving units and cabinets. Please note: Some of the steps listed above may happen simultaneously instead of separately. Reviewing and understanding the primary steps of the construction process will help you get started building your new garage. For more information about building a detached garage, check out The Garage Plan Shop’s resource page.